Thalia comes straight out of Greek mythology. Thalia is the goddess of festivity. 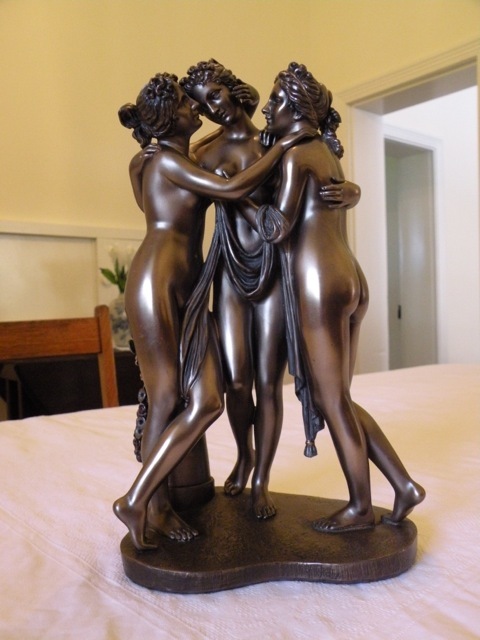 She was one of the three graces who is often depicted with her sisters dancing in circles. The meaning of Thalia is: rich and abundant, bountiful and plenty. Thalia also means “blooming” and lush as the country in Spring time. It is not hard to understand why the property was given this name. To the early settlers it was no doubt a prosperous property. Today Thalia still encompasses these values, with its comforts for the visitor to the generous breakfast provisions. It is not hard to find seasonal fruits as you walk around the property. You’ll be tempted with apples, stone fruit and citrus, and if the rabbits do not eat them first, even strawberries.